game description field is empty. 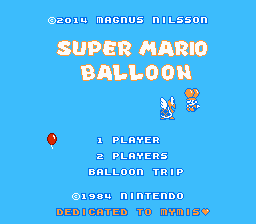 This hack changes Balloon Fight into a Mario-themed game. 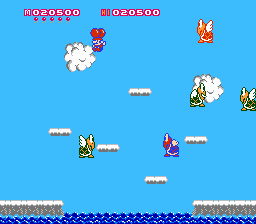 Players are replaced by Mario and Luigi and enemies are turned into koopa troopas. Almost every palette in the game have been changed in order to make it a bit more brighter and “friendlier” compared to the strange space themed original. 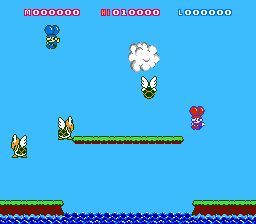 A few bonus lives were added to make it feel a bit more casual in difficulty. One of the worst things with the original was the annoying high pitched noise that the enemies made. This has been changed to a more neutral and less stressful sound for a much improved playing experience.